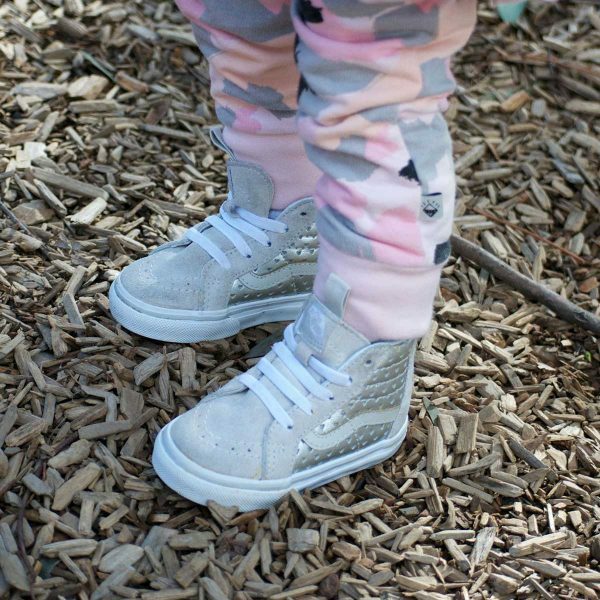 Taking your kids to the playground & pre-school. This staple kids pink Vans shoe is the same old skool V sneaker in a gorgeous new shade. 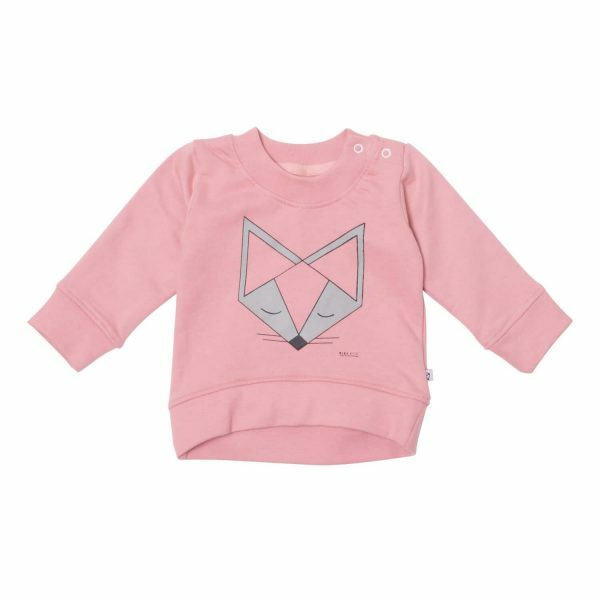 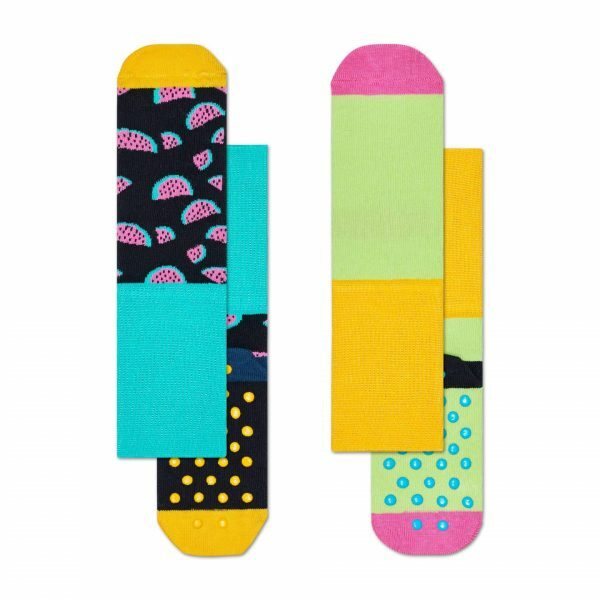 Great for everyday wear, active kids will have good tread for climbing, running and scooting around. 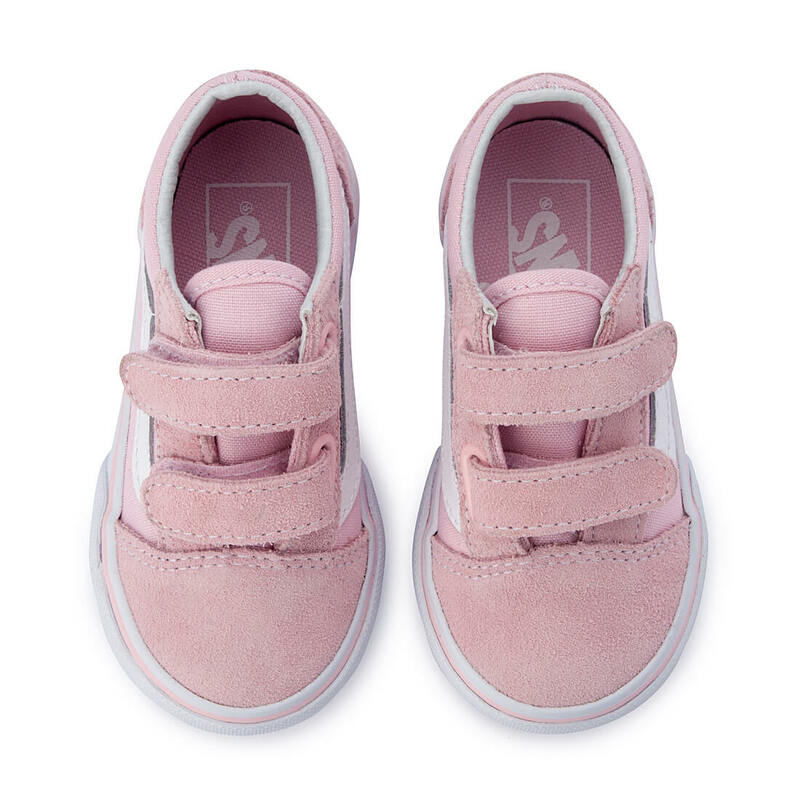 This low rise sneaker will go well with denim or monochrome staples to add just a touch of bright blush. 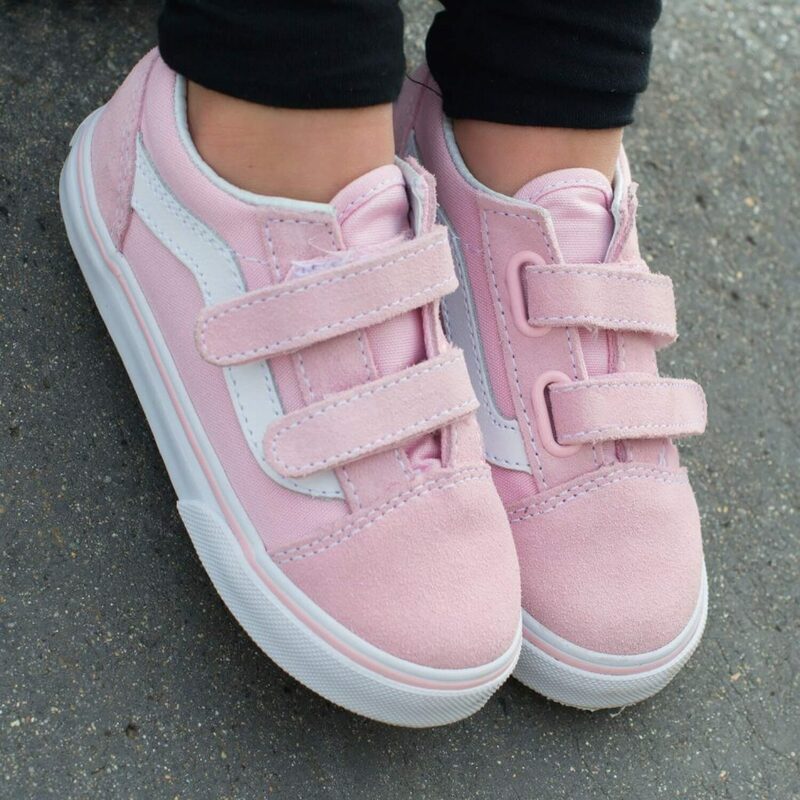 These durable low rise Old Skool Vans sneakers have become an everyday staple for all the cool kids. 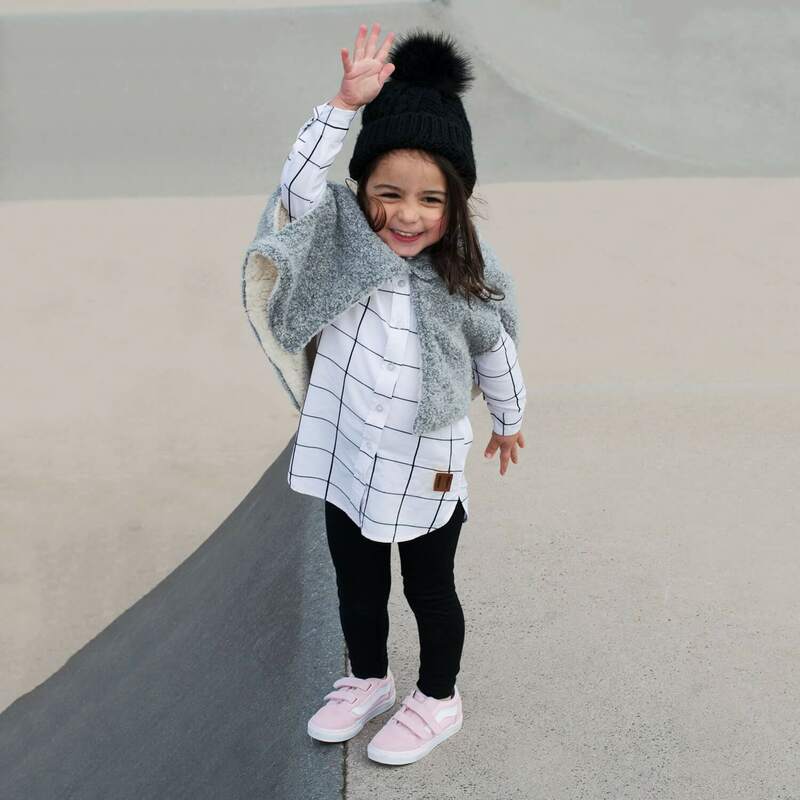 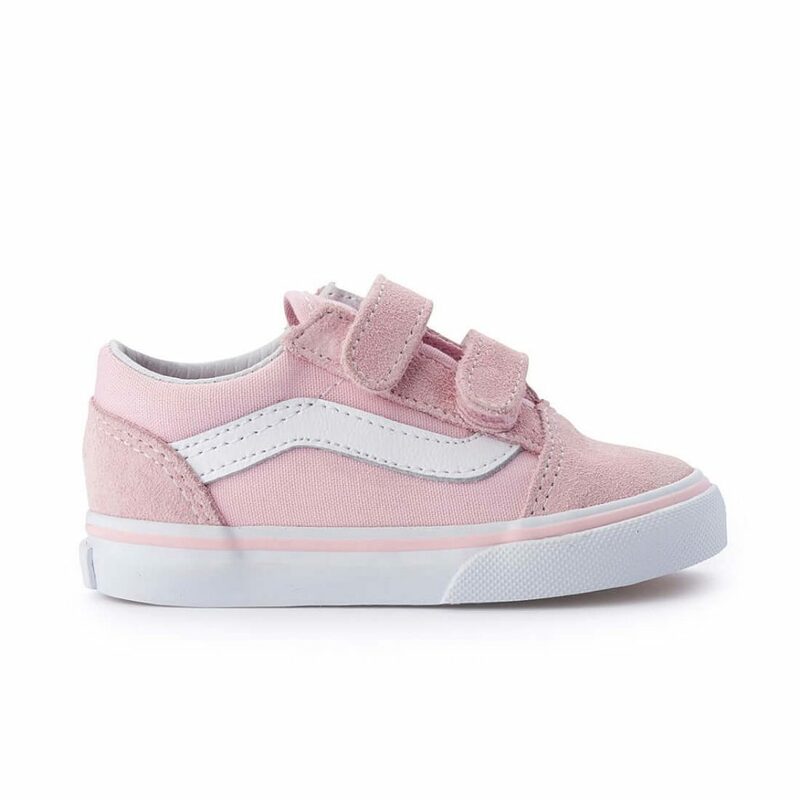 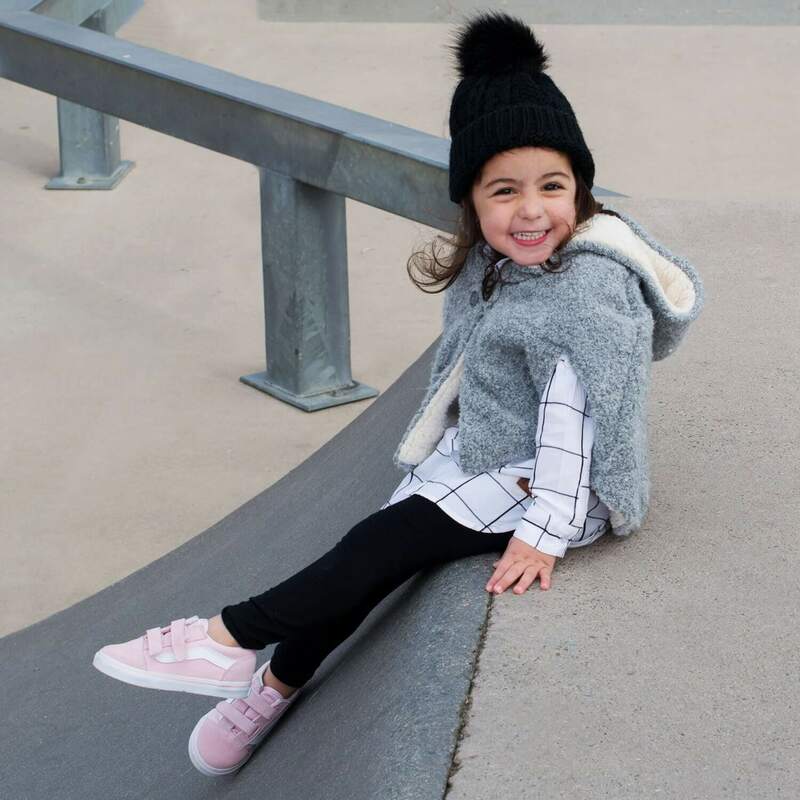 This iconic Vans style has had a refresh for little fashionistas in this subtle blush pink colour way. 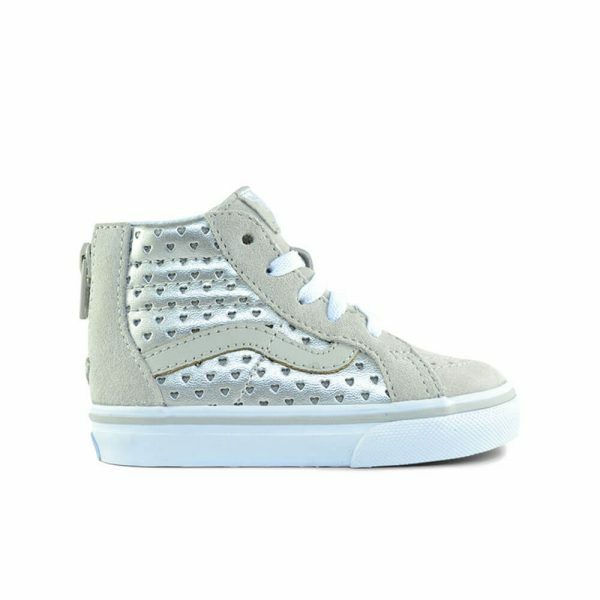 Wear with a dress in a contrasting colour, stick with white or go for denim for an edgy street look. 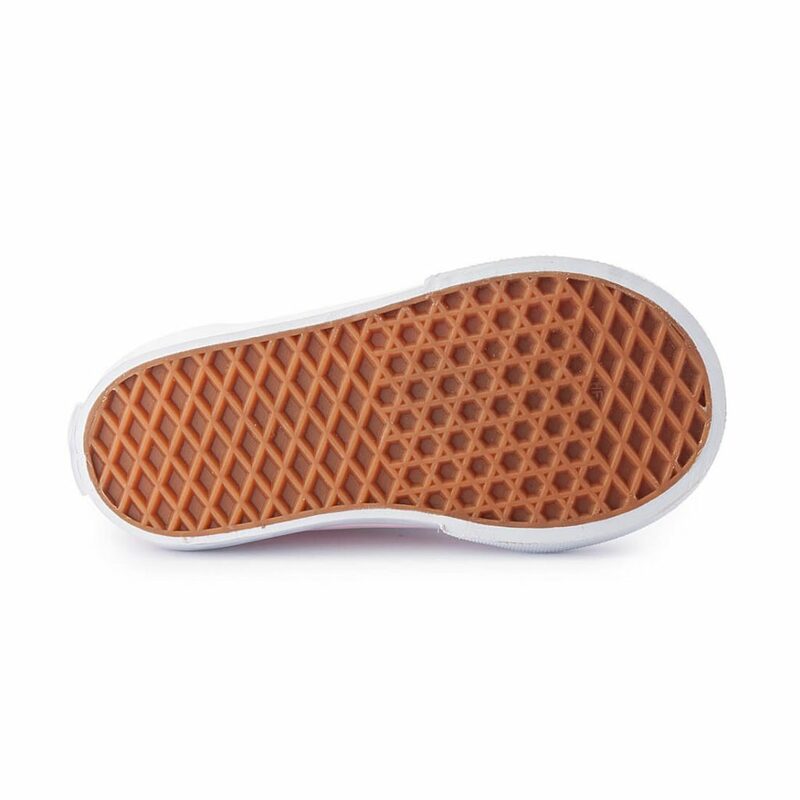 Don’t be fooled by its looks, this shoe has a strong canvas and suede leather upper and lightweight, durable rubber outer soles for jumping around.